The members of Borsdane Lodge No 6460, who meet at Hindley Masonic Hall, are no strangers to community involvement and have a long tradition of supporting local charities and causes. It is not surprising then, that when the members were told of the plight of two local boy scouts, they raced into action. At the starting post, ready to race. The local boys are Ben Heaton and Lewis Oakley from the local 3rd Hindley Scouts who meet near the Masonic hall. The two had been through a rigorous and competitive selection process and have been chosen to represent the Wigan group scouts at the next world jamboree event in West Virginia, USA in July 2019. Their plight is that to fund the trip they will need to raise £4,000 each for this once-in-a-lifetime honour and experience. As part of Borsdane Lodge’s ‘outreach initiative’ the lodge hosted a race night to raise funds. Ben and Lewis were supported by friends and family from 3rd Hindley Scouts and encouraged by members, friends and family from the lodge. The event consisted of six highly contested races, a raffle with about 40 prizes including a weekend break and a rather superior buffet. It made for a very enjoyable and productive evening. 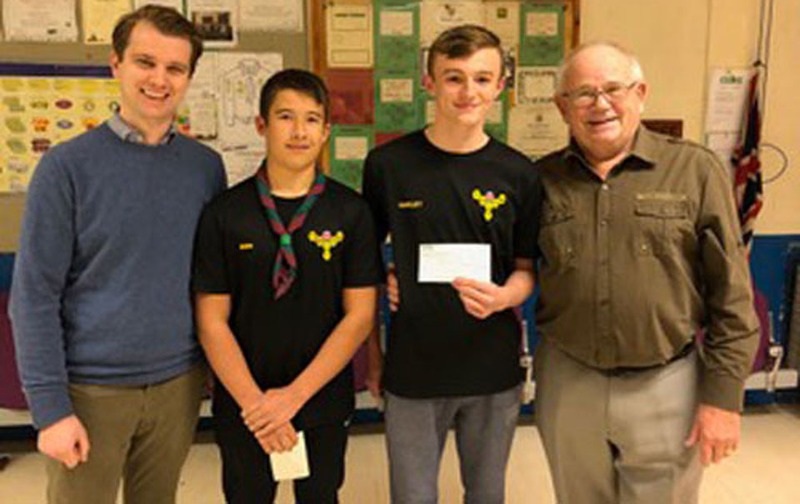 The end result was that lodge members George Seddon and Jonathan Lever were able to present cheques for £250 each to Ben and Lewis. There is still work to do before their target is reached, but at least the lodge has helped these young men towards the experience of a lifetime, and everyone has had a lot of fun in the process. Pictured receiving their cheques from left to right, are: Jonathan Lever, Lewis Oakley, Ben Heaton and George Seddon.